The Android platform has been around for a while now and it shows no sign of stopping. There have been awesome Android devices that have captivated everyone, and then we have those that didn't quite make the hit list. Anyhow, 2014 brings us a new round of flagship devices from our three major smartphone manufacturers; Samsung, Sony and HTC. 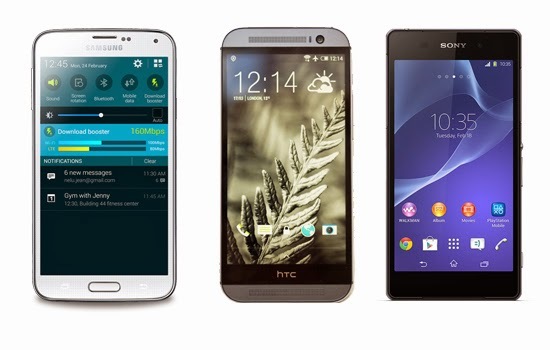 These flagship phones all pack Android's latest operating system: KitKat 4.4.